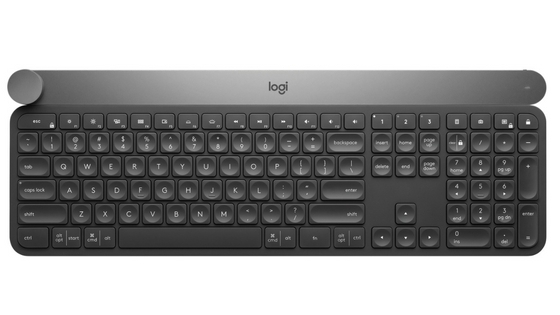 Logitech has unveiled their latest wireless keyboard, the Logitech Craft, at IFA 2017 in Berlin. 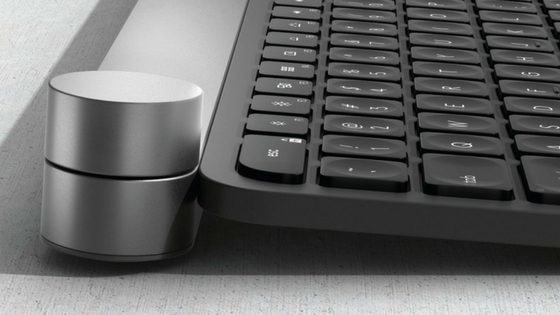 What is new in this smart keyboard is the presence of a multi-function dial. It is aimed at professional designers and other creative professionals to help increase their productivity. The idea is to use the keys for typing, the mouse to navigate, and the newly added dial to access critical software functions and toolsets. The keys on the Logitech Craft are backlit when needed. The intensity of the light adjusts automatically depending on the room conditions. It can be wirelessly connected via Bluetooth or a USB plug. An Easy-Switch button will switch the connection over up to three connected devices. Aptly named the Crown, the smart dial is located at the top-left. It is made up of aluminum. It can be used to perform various context-specific actions when running a list of software on your Windows PC or Mac. Think of it as a second mouse, but with auto-defined actions (depending on the software in use) on touching, tapping or turning the dial. For instance, the knob can change the brush size in a painting application, or adjust the image's brightness, contrast, and saturation in Adobe Photoshop. It can also alter the font size in Windows Word, or choose a chart type in Windows Excel. Other than app-specific functions, the Crown can also adjust system volume and help navigate across desktops or applications in use. Logitech Craft comes with a built-in battery that is chargeable via USB. The manufacturer promises one-week backup before charging again. It is due for release next month at a price of $200.